Figure 1. Collapsing Doji Star pattern. The Collapsing Doji Star pattern is a three-line bearish reversal pattern, which appears extremely rarely. Hence, the pattern is not very useful. The first line is a white candle appearing in an uptrend. The subsequent line is a doji candle (except the Four-Price Doji) that gaps below the prior candle including the shadows. The last, third line, is a black candle that also gaps below the prior candles including the shadows. The pattern needs to be confirmed on the following candles. Figure 2. The Collapsing Doji Star is a very rare pattern. In theory, its strength lies in the existence of two downward gaps, after the first and the second line. Such configuration indicates the market weakness. 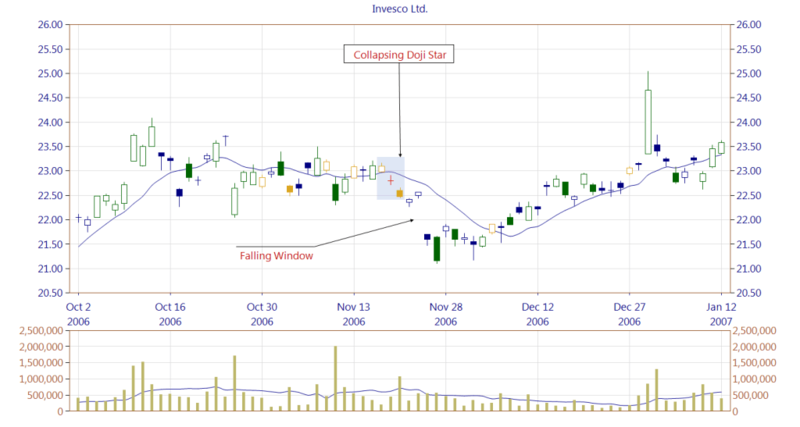 On the chart, a Collapsing Doji Star is preceded by a price moving sideways. The bulls and the bears are struggling for control of the market. Then the Collapsing Doji Star appears. It is followed by a Falling Window, which confirms the pattern. The market liquidity is low, which is not helping in making a reliable technical analysis. 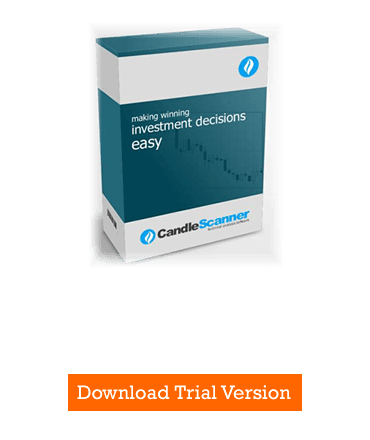 Below you can find some Collapsing Doji Star pattern statistics calculated by CandleScanner software.